To add Twitter login and registration to your WordPress website you need to have a Twitter account. If you have an account, login with your account and navigate to http://apps.twitter.com/. Click the "Create new app" button to setup a custom twitter app. This app will be used for logins and registration through twitter. In the newly opened page, locate the "Callback URLs" setting and type your website url followed by ?wpumsl=twitter. Once you've filled all the details about the app, click the "Create your Twitter Application" at the bottom of the page. Once your new application has been created, navigate to the "Settings" tab and make sure the setting "Allow this application to be used to Sign in with Twitter" has been enabled. 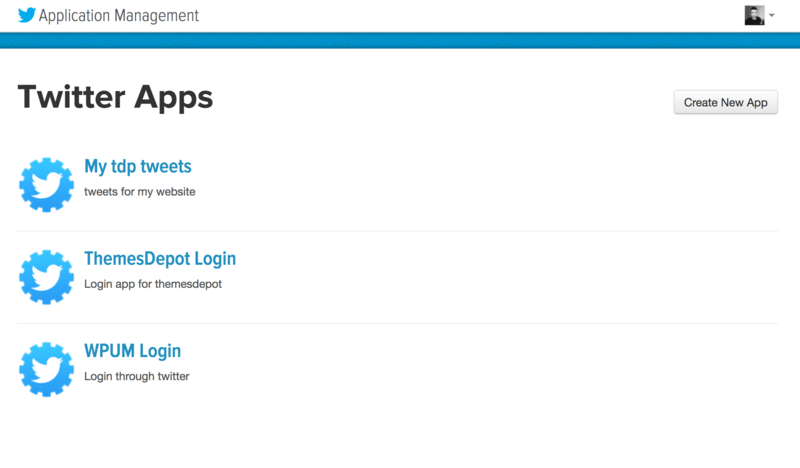 You Twitter application is now ready to be used within WP User Manager. Within your Twitter app, navigate to the "Keys and Access Tokens" tab and copy and paste the API Key and API Secret keys into your WordPress website. In your WordPress dashboard, navigate to "Users -> Settings -> General -> Social Login" and fill in the Twitter API Key and Twitter API Secret settings, with the keys that you've just retrieved.